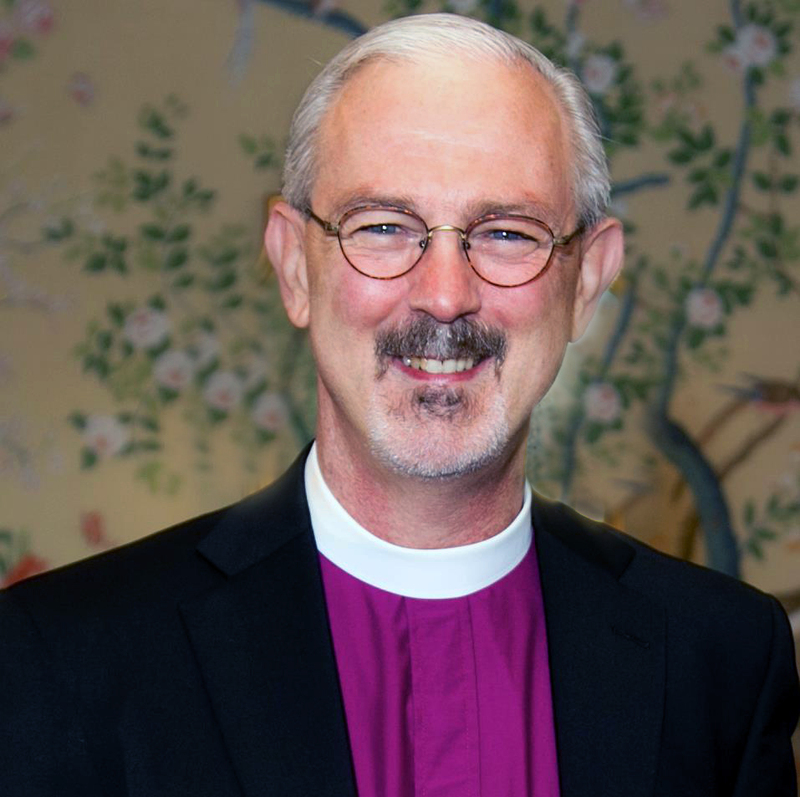 St. Alban's Episcopal Church: Bishop's Sermon - Where Was God In That? Some people of faith have been asking, “How could God let this happen?” I cannot answer this question, and I suggest to you that no one can. It’s the wrong question, on analogy with a question like, “Why is there blue?” It cannot be answered because it will never help us understand reality or the deep and mysterious ways of God. However, we are right to wonder, and so that our wondering will bear fruit, we have to frame our questions carefully. There are three questions that we can ask that will bring life’s meaning back into focus and help us to take the next steps in following Jesus after Newtown. What does the massacre at Newtown tell us about the world we inhabit? What is God doing about this tragedy and our world as a whole? What can we do to participate in God’s redeeming work? The horrifying events at Newtown tell us that we inhabit a cracked universe. The shooter’s killing spree did not break an otherwise perfectly comfortable and orderly world. His cold brutality brings into sharp relief a pervasive element of human life. Chaos and cruelty run like a tiny fracture through the exquisite crystal that is our cosmos. Sometimes that fissure within things is so tiny, that we cannot see it. At moments like last Friday, the flaw at the center of things shatters the whole into jagged pieces. It is an old story, recounted in the very first chapters of the Bible. God created the world. And it was good through and through. Adam and Eve, in their self-absorption and short-sightedness, introduced an enduring flaw into God’s good creation. We have been trying to fix the universe ever sense. We draft laws and issue punishments, design educational curricula and erect social assistance programs, treat mental disease and warn of the consequences of moral disintegration. Our human responses to the cracked universe seem to work for a time to a greater or a lesser degree. And then chaos and cruelty remind us of the limits of our power to repair what we have broken. You see, the heart itself--the human heart--bears within it the crack that threatens to undo everything from its very center. All of our efforts together amount to using elementary school paste to reconnect the facets of a diamond. It might work for a while. But it won’t really be as beautiful as God intends it and it won’t last. We are powerless to repair the crack in our hearts. But God is capable. This is what John the Baptist is getting at in today’s Gospel in his cry for repentance. And that takes us to the second question. What is God doing about the crack in the universe? God can of course do whatever God wants to do. But what he does will always be in keeping with his infinitely good and loving and holy character. We see just what God is made of when we see how he chooses to repair the fissure threatening his creation. Instead of affecting a long-distance fix with the snap of his omnipotent finger, God chooses to dwell in the cracks of his fractured creation. He comes to reign from a stable in Bethlehem, the dusty byways of Galilee, the humble tables of peasants and sinners, the rugged Cross of Roman cruelty, and finally as the glorified king of kings forever emerged from the tomb that we should all rightfully inherit. John has already announced that God is coming to bring his justice, and he knows all too well the response that many will have initially. Many people who indulge in bad behavior just don’t want to be caught. And since John has in essence said, “You’re so busted,” their first response is to do damage control. They want to minimize, or maybe even avoid entirely, the negative consequences of their own habitually self-serving patterns of life. So, they say that they’re sorry. They take full responsibility. In truth they are fleeing, fleeing from the wrath to come. From the results of their own choices and selfishness. They want to get off the hook. But it has not occurred to them that God wants more. Wants something different. God is more interested in their future, in our future, than in our past, as John Claypool once put it. John the Baptist says, “Bear fruits worthy of repentance.” In other words, let God replace your hearts of stone with hearts of flesh. Let him give you a new heart. A new way of inhabiting this world will follow. John helps us remember that Jesus came to reign over a new heaven and a new earth. His mission is to make all things new in and through his love. The Baptist is not saying to straighten up so that God will find us acceptable when he comes. God is already coming, has already come, in the very person of Jesus. His presence has already started changing everything. And the central thing to be changed is our very human heart. And that brings us to our final question. How can we participate in God’s redeeming work? Following Jesus is an outside-in proposition, at least for many of us. We try to take his example of loving service, forgiving fellowship, and humble mercy before our hearts are really in shape to get it right every time. Through our outward behaviors Jesus gradually repairs and strengthens our hearts. John the Baptist outlines some basic principles for following Jesus when he takes questions from the crowd. John says to give away your extra clothes and extra food to those who do not have enough. Be generous. Don’t be like Adam and Eve. They had all that they could possibly want or need, and they still had to have one more thing. That is the forbidden fruit: one more thing when others lack even the basic things. Don’t eat the fruit! A tax collector asked what he should do, clearly referring to his own despised profession. John said something like this. In your dealings with other people, never shortchange anyone to give yourself an advantage. No one really gets ahead by making sure that others get behind. We can achieve our greatest personal good only when we realize that it involves the greater good for all. Finally, a soldier wants to know what he should do. John is very clear to him and to us. Each of us has strengths and abilities. We are tempted to use them to gain an advantage for ourselves at the expense of those weaker than ourselves. God gave us our strengths to protect and to aid the weak. This is the kind of behavior inaugurated by the Infant King, Jesus of Nazareth. In anticipation of Jesus’ own ministry, John is telling us to try these kingdom behaviors on for size. He is not saying that we will make the kingdom a reality. Instead, he teaches us that Jesus will grow our hearts to fit the kingdom, and that he will give us a new future fit for our renewed hearts. This is the word that Jesus has for the people of Newtown, and for us, this day. He promises us a new future, a future toward which we can work under the guidance of his sovereign hand. In that future--that new heaven and the new earth--there will be no more elementary school massacres. And those who have suffered the terror of chaos and cruelty in our fractured universe will know a new life beyond sorrow, pain, and death. That is what God is doing. And what we can do is take the steps toward that future that Jesus himself has modeled and taught. This sermon was preached at St. Andrew’s in Mer Rouge, Louisiana.